This is the version II of the original µVCA. 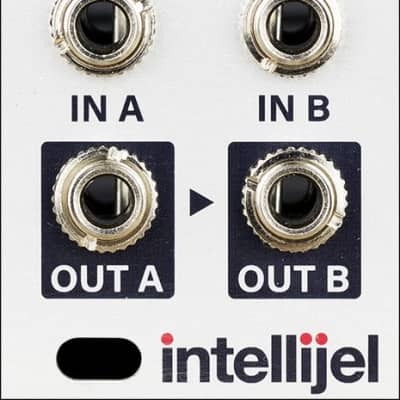 When no cable is patched to Out A, In A is normalled to Out B, offering a 2-channel mix. This module was adapted from a design by David G. Dixon. 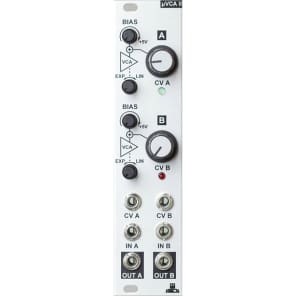 Unlike many VCAs it closes fully (> -100dB): special circuitry has been added to bias the VCA circuitry beyond its fully closed point when the knobs are turned all the way down.